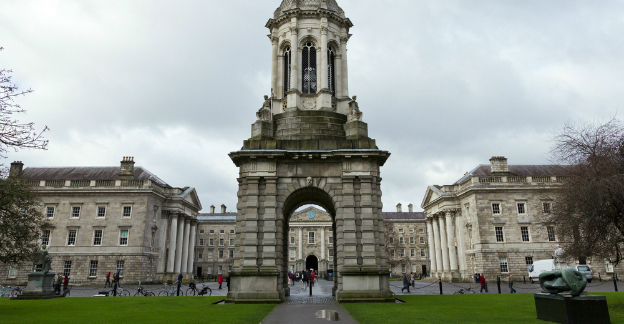 Why Are So Many International Students Studying English in Ireland? 2015 saw the number of international students studying English at universities in Ireland top 100,000 for the first time in history, seeing a 10% rise on 2014’s figures thanks to a significant increase in students from Asia. Some of this increase can be attributed to a marketing campaign targeting South Korean students, but with an upturn in applications from all over the world there must surely be other factors enticing international students to study English in Ireland. One possible explanation is that many students from areas such as Japan, Brazil and South Korea do not need a visa for many of the short English courses available in Ireland. But when you consider that visa dependent students from Russia and China have also increased in number this reasoning doesn’t ring true – Irish study visas are quite easy to obtain, which of course may be a positive trait itself. Other practical reasons for the attractiveness of Ireland’s ELT courses may include the fact that the cost of living and studying is much cheaper than the UK, the course options are varied and dynamic, and the recent downturn in UK ELT teaching means Ireland is the closest English-language country for many of Europe’s ELT students. 73% of ELT students hail from Europe, with Italy the biggest contributor, and if the UK proves too expensive many see Ireland as a cheaper and more convenient option than the USA, Canada or Australia. There is also the fact that all ELT course staff, including all teachers and support workers, are fully vetted by the Irish Garda before being allowed to proceed. This has helped to not only raise educational standards and remove junk courses, but also add to the feeling of safety and professionalism of the nation. With several of Ireland’s educational institutions creeping gradually up the league tables, Ireland is gaining a reputation as a major source of firm academic excellence. The Irish people themselves have an equally good reputation, mostly thanks to the amount of host families willing to take in students to help them increase their cultural experience. Student life in Ireland is rich in terms of its diverse social offerings, with plenty of history, literature, art, music and culinary experiences to charm even the most well-travelled students. And when you also consider that a significant number of ELT students have returned to Ireland to pursue longer qualifications, it is perhaps no surprise at all that the numbers taking language lessons in the country have increased so dramatically. Ireland offers a wealth of career opportunities for those who wish to make their stay longer or permanent, and it may be the case that the fantastic English language courses Ireland has to offer are acting as a taster for those interested to study in Ireland, as well as providing a great place to immerse yourself in the use and culture of the English language.